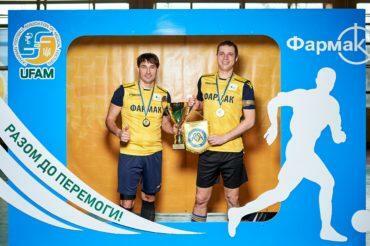 Farmak’s team came third in Kyiv city Mini-football Championship among managers of enterprises, institutions and organizations – the Health Cup. 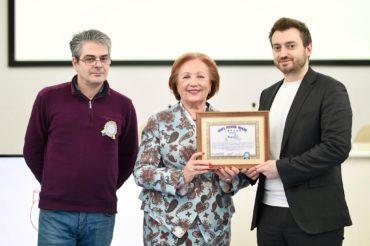 This social and charity event was held on 9 April at the stadium of Kievan Rus gymnasium. The competitions were dedicated to the World Health Day. The following teams took part in the competitions: MPs of the Kyiv City Council, Farmak, Ministry of Social Policy of Ukraine, Serial Plant Antonov, Kyivenergo, Epicenter, Ukrtransgaz, Kyivgas and Savings Bank. The teams were divided into three groups of three teams each. Matches were held with 15 minutes' rounds. Three winners of their groups met in the semifinal: Epicenter, Farmak, and Savings Bank; the fourth team was Ukrtransgaz who took advantage of the rules violation by the MPs of the Kyiv City Council, who received a default. Traditionally, the winner of the tournament had to challenge for the next competition, which will take place on 22 April under the title "Games of Capital Companies". Volodymyr Goncharov, captain of Epicenter team, challenged Ukrtransgaz, Savings Bank and Farmak teams. In addition to mini-football, the teams will compete in volleyball, street ball, table tennis, weight sports, arm wrestling, athletics, chess and darts.